The kids gather for a picture. Total attendance was 14 kids, well below capacity. The Raptors first-ever free basketball clinic targeted specifically to Iranian youth spurred on a lot of excitement for those in attendance, earlier this month. 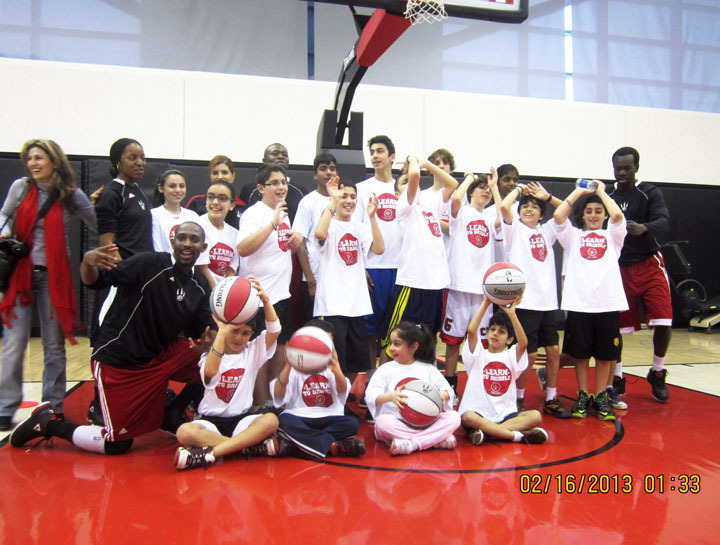 While overall attendance fell a tad shorter – 18 children participated out of a cap of about 35 – parents and children alike were awash in basketball fever at the Air Canada Centre’s (home of the Raptors) practice court. Azadian found out about the clinic through Salam Toronto, and was a soccer player growing up in Iran. His son plays on the school team. For 11 year-old Rizvan Nirvala, he came to this clinic to improve his dribbling skills. Amirali Takhmid (right) is 14 years old and Rizvan Nirvala (left) is 9 years old. 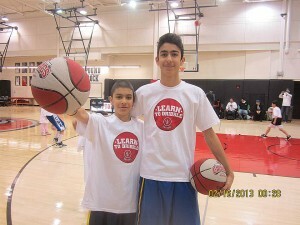 Both looked forward to the basketball camp to improve their dribbling skills. They are both fans of LeBron James, while Rizvan also appreciates Michael Jordan. 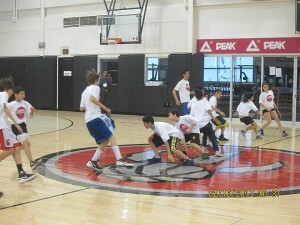 During the one-hour camp held at the Raptors practice facility on a chilly Saturday afternoon, head Development Coach Kerwin Liverpool and three other coaches ran the kids through warm-up drills, dribbling exercises, and various ball tricks that they all gamely enjoyed. Among the organizers of the Iranian-Raptors collaboration is Karan Makvandi, who’s 6-year old daughter was among the youngest in the clinic. “We smuggled her in here,” Makvandi jokes. Makvandi also has basketball in his blood, representing Iran in the Under-19 team during the late 1980s and early 1990s, and much of that passion has been transferred to his young daughter. 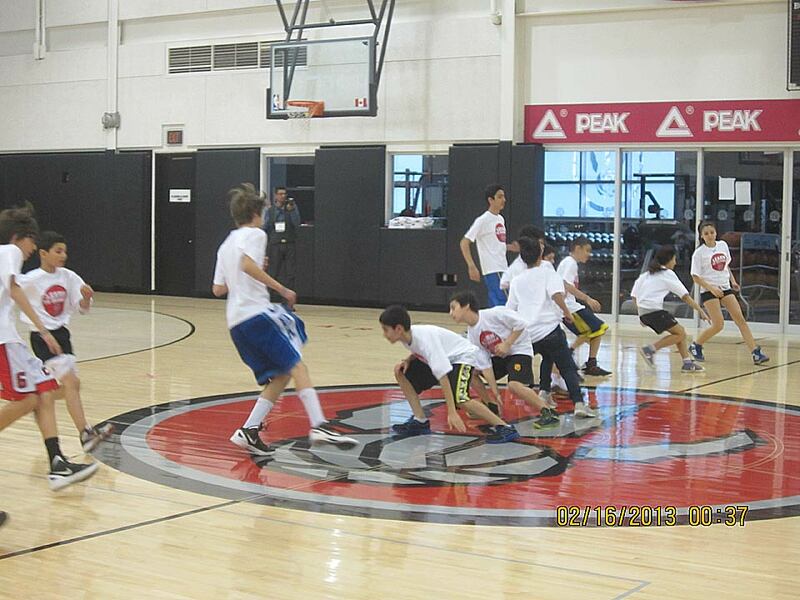 The kids going through the basketball drills on their first class. The basketball enthusiast also looks at the big picture, and how many Iranians like his family are fortunate, and the kids should recognize this as well. “The one thing I honestly struggle with is, how to convey to these guys is how lucky they are, and not to take all of this for grante,” Makvandi says. 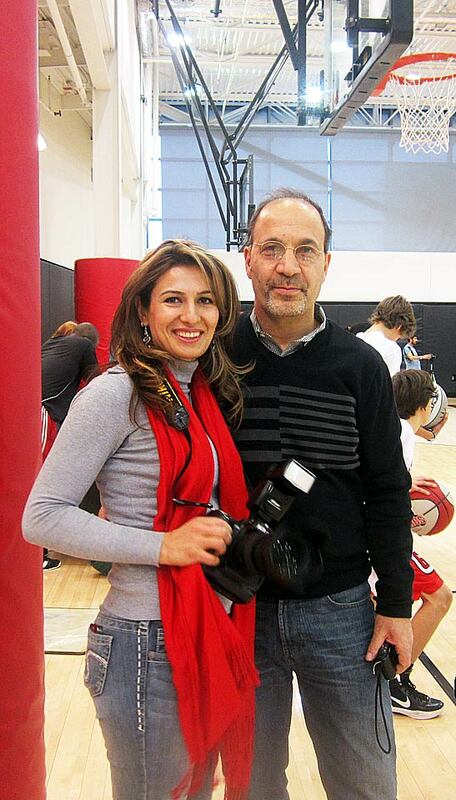 Abbas Azadian and Zahra Azadian, parents of 12-year old Ruzbeh, a big basketball fan. 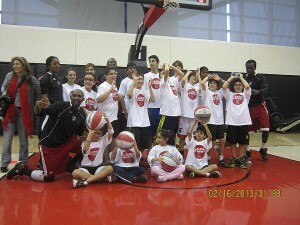 In addition to fundamental basketball skills, the coach’s also honed in lessons that can be applied to the game of life. Karan Makvandi sees a growth in the game within the Iranian community, and has witnessed tangible diffe-rences in each year between the Raptors and the community. Overall, Makvandi sees the results of this partnership between the Raptors and the Iranian community as a positive, and can see it only getting bigger.